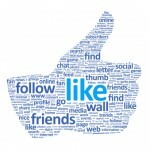 Social networks: What are they good for? You and I probably share something in common. We probably use more than one social network. And if we do, we’re probably always considering what we get out of each network and wondering whether the time we invest in each is worthwhile. I use four social networks on a regular basis: Twitter, Google+, Facebook and LinkedIn. Each seems to be do different things better than the others. Google+ gives me the best conversations with the smartest people. There’s no apparent limit on post or comment length. And people routinely go back and forth and discuss topics in depth. It’s really a satisfying discussion. Facebook is where the most people are. And it’s hard to ignore a place where most of my friends hang out. Still, it seems like the cotton candy of social networks. All show. But empty calories. There’s really nothing of substance happening there. LinkedIn is the “business network”. I get the least out of LinkedIn. It seems to be a place for people to make useful business connections. And it feels a bit tawdry, a place for users and people who want to be used. So, that’s the way that I see my social networks. What about you? Do you agree with my assessments of the different networks? Which do you use? What do you think each one is best for? In this week’s Inside PR, Martin Waxman, Gini Dietrich and I talk about Intranets and the recent changes to Facebook. At Thornley Fallis, our Intranet is built around a Wiki to host content, Present.ly to support publishing and linking to content and Windows Live Messenger to enable one to one video calls. We encourage people to use these three tools to divert content from emails (we all suffer from inbox glut) and to channel communications from broad publishing through to one to one communications via video. For us, video is the best communications channel. Unlike email and text, it enables us to read facial expressions, posture and all the physical clues that add nuance to communications. Martin Waxman points out that we have so many “places to go,” so many channels of communication, that managing these different channels can become a challenge unto itself. Gini and Martin talk about their impressions of the most recent Facebook changes. Gini points out that it will be important to decide what you want to include in your timeline. Sharing everything won’t be for everyone. And it’s important to be aware of what the timeline automatically shares so that you can filter out the info you wouldn’t want to see there. Martin suggests that we all should become familiar with the “view activity” panel that will enable us to remove content from our timeline. Other neat features: the cover photo we can add to our Facebook profile and the ability to add “milestones” to fill in our timeline. As for me. I still can’t be enthused about Facebook’s effort to move us away from the open Internet toward the walled garden of Facebook. Bah. Humbug. And one final reminder: Inside PR will be recording live from the PRSA International Conference in Orlando on October 16 and 17. We’ll also be interviewing speakers and participants. So, if you’re planning to be there, let us know and we will grab a sound bite with you. The people formerly known as Facebook Users? As I see it, Facebook still is far short of fulfilling the promise of targeting advertisement to people for whom it is relevant. Case in point: This ad appeared on my Facebook homepage. Erase my criminal record? Heck, I haven’t had even a traffic ticket since 1985. I hardly need this. And it’s kind of creepy. So, what’s really at stake here? This isn’t just about me being annoyed by an ad and wanting to poke at Facebook. No, the stakes are much bigger. We’ve seen other incumbents who thought they were too big to fail – MySpace, AOL, Yahoo and others. As Facebook keeps pushing to monetize my attention, it will have to do a better job than this. If it doesn’t, I and others like me will be ready and quick to move away from it as soon as the next innovator arrives. And make no mistake, it will arrive. Once again, Canadians can only envy our neighbours in the United States as they enjoy a much-coveted feature that a service provider hasn’t enabled for us. 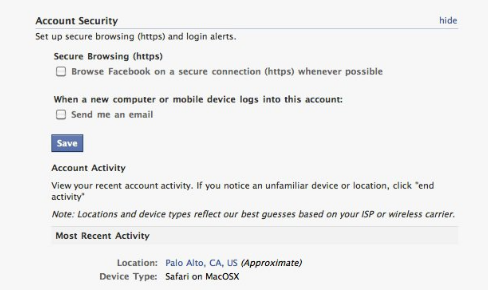 In this case, secure browsing of Facebook. The delay in offering this option to Canada is ironic given that Canada’s Privacy Commissioner more than anyone has been holding Facebook to account for its capricious approach to privacy. I would have thought that anything that provides greater security of personal information would be rolled out in Canada at the outset. I’ve asked on Quora when secure Facebook browsing will be available in Canada. If you know this information, please post the answer on my question or as a comment on this post. UPDATE: It’s now Friday, two days since Facebook announced secure browsing. I just checked my Account Security settings again. The Secure Browsing option still does not appear. Is it unreasonable to think that Facebook could roll out a basic security feature like this to all of its subscribers at once? 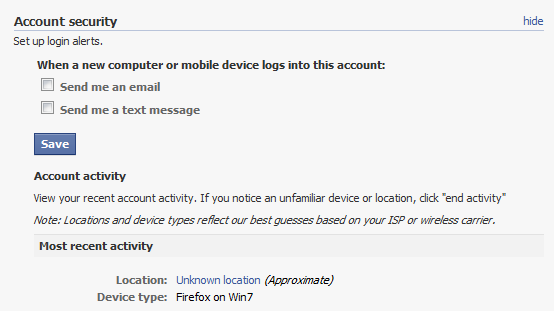 Thanks to the Blog Herald for pointing to the Facebook post about the new secure log in. Even if I can’t have it now, I know I want it, whenever it is turned on for Canadians. What matters to you: Volume of followers or Community of interest? 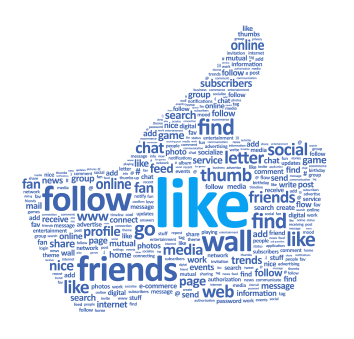 How many followers on social media are enough? Do you watch your numbers and constantly search for new ways to gain a new friend or an extra follower? 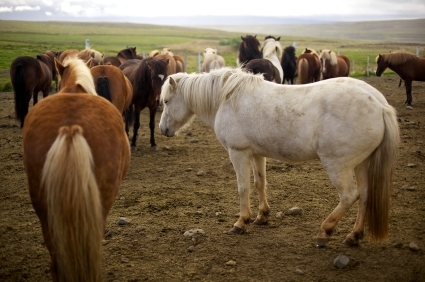 Do you see a herd or a community of interest? In this week’s Inside PR, Gini Dietrich expresses her annoyance at discovering that some people seem to be using the #FF (Follow Friday) hashtag primarily as a means to get the attention of others on Twitter who have high follower counts. Ginny observed that some people she is following seem to point only to others who already have high follower counts. Ginny wonders whether those recommendations are sincere endorsements of content or instead, attempts to get those high follower people to reply, putting the original person’s ID in their Twitter stream and attracting more interest to themselves. Thinly veiled spam? An extension of the old-style interruption broadcast advertising psychology? I monitor the number of followers, subscribers, mentions and comments on my blog and other social media as part of my calculation of return on investment. Given that my greatest cost of creating and sharing content is my time (and I always have other things that I could be doing with my time), I make a calculation of whether I am talking to myself or whether I am part of a community that shares my interests and is actively engaged with me. While I don’t put a dollar amount on that calculation, I do make a calculation of my relative return on the investment of my time. So, having admitted that I do track my numbers, why don’t I spend more time trying to dramatically increase my numbers of followers? The answer is simple: I am interested in engagement with the community that cares about my content, not in raw reach. What counts for me is a genuine connection with a community of interest, not simply growing the size of my audience. How does that compare with your approach to social media? Do you focus on finding and engaging with a clearly defined community of interest that corresponds with your personal interests or the interest of your organization? Or do you pursue ever larger numbers of subscribers, followers and friends? If you want conversation, go where the people are. When I started the ProPR blog in 2005, the social media conversation was focused on blog posts, links, trackbacks and comments on those blogs. But that changed with the introduction of Twitter and Facebook. Twitter gave us drop-dead simple posting and conversation. Facebook is hard-wired to connect with friends and signal affinity. Simple publishing platforms that everyone could use. And with simplicity came numbers. And with numbers came conversation. As people flocked to these new publishing platforms, the conversation followed them. And I noticed a decreased in comments on ProPR.ca. But that didn’t mean that I noticed a decrease in the conversations I was involved in. In fact, I continued to find new people I’d follow and engage in conversation with them. But that now happened primarily on Twitter. Over time, Twitter became my preferred social space. It seemed to be THE place where I found people sharing interesting links to long form content – a discovery engine driven by the people with whom I share interests. I began to follow people and others who shared my interests followed me. And as we did this, we shared content and replied to one another’s posts. All in 140 characters or less. On any device – desktop, laptop, tablet or mobile. So, I followed my community from blogging to Twitter. And I’ve learned a lot from the conversation. But one place I did not follow the conversation to is Facebook. I was an early adopter of Facebook and approached it as a place to connect with family and close friends. It was the place that I’d publish things that I only wanted to share with a small, close group of friends. And generally speaking, the content I found on Facebook reflected that – people sharing small gestures and information of personal import. What I rarely found on Facebook was the kind of thoughtful, deep dive content into specific topics. For that I still need to turn to blogs. Basically, people who invest a lot of effort into thinking through issues and writing about them prefer to post to places that they own and control, not to a platform that has an evolving business model and shifting policies regarding privacy, advertisement and the organization of content. But … it’s foolish to ignore any place where more than 500 million people gather. And the revision of the Groups feature on Facebook has caused me to take another look at how I might make better use of Facebook. As I said, Facebook is hard wired for connecting with friends and causes and signalling affinity for them. And there is a huge amount of conversation on Facebook. So, I’m going to see whether Facebook Groups will provide a better vehicle for conversations around two communities that I belong to. I’ve set up a Inside PR Podcast Facebook Group and a Third Tuesday Facebook Group. For the next two months, I’ll make an effort to cross post information to these two groups and to participate in any conversations that develop there. At the end of those two months I’ll report back on what has happened and how they each compare to the other places that I use – ProPR.ca, the Inside PR podcast site, the Third Tuesday Meetup sites, my @thornley Twitter feed and the @Inside PR Twitter feed. Already, I’ve realized one immediate benefit of Facebook. It makes creating and posting video comments dumb simple. I’ve posted an introductory video on the Inside PR Podcast group. It’s not great quality. I created it on the spur of the moment using my iPod Touch. And that’s the first benefit of the new Facebook Group feature I’ve discovered. It makes posting and responding to video comments as easy as writing a test comment. I’ll be interested to see whether the conversation flourishes in these places. I hope you’ll join me there.